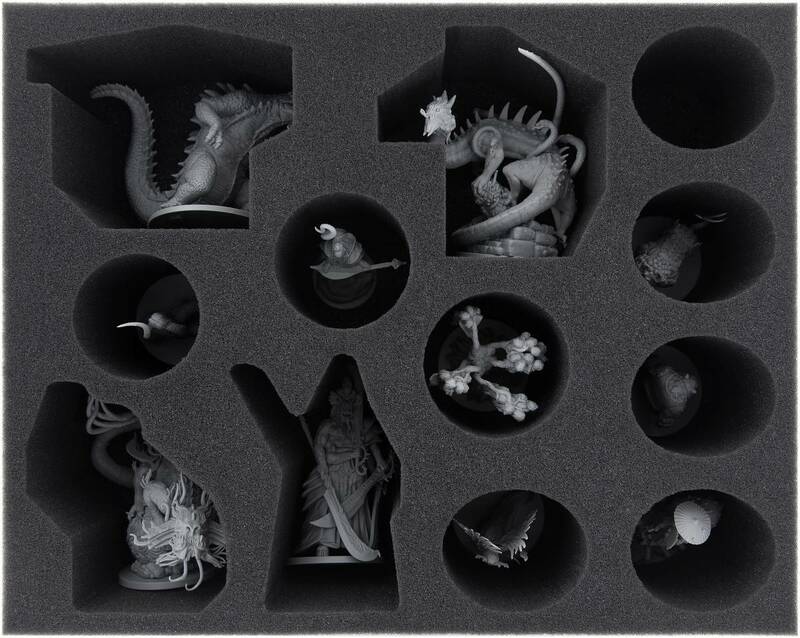 This foam tray allows you to store up to 12 Rising Sun Kickstarter Pledge Monsters. Four custom cut compartments accommodate the big monsters Daikaiju, Fire Dragon, Earth Dragon and Oni of Plagues. Eight additional, round compartments will hold smaller miniatures like Phoenix oder Jinmenju. 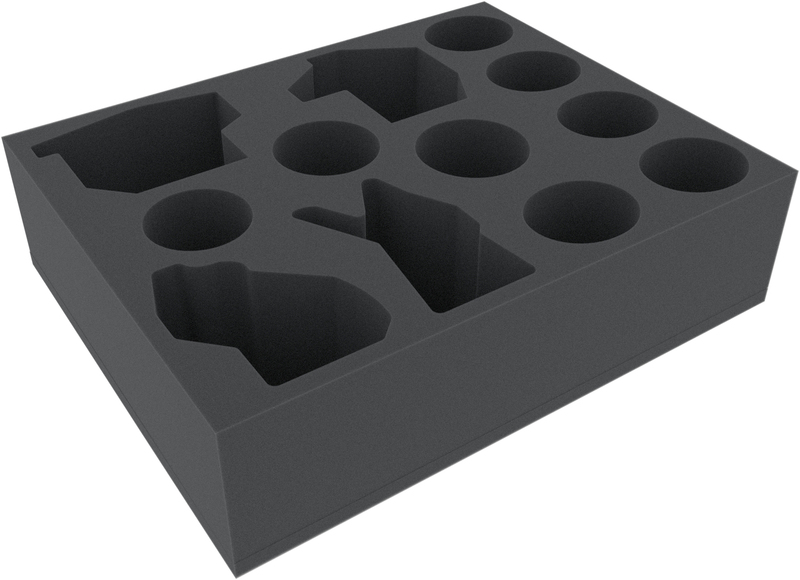 The tray has the following dimensions: 345 mm x 275 mm x 90 mm. 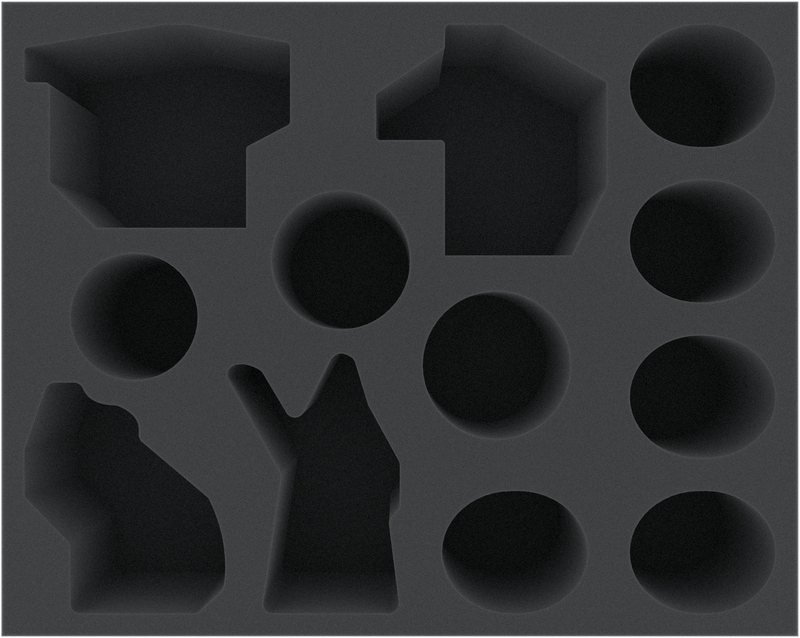 Since the tray comes with a 10 mm base, the effective usable height of the compartmens is: 90 mm - 10 mm = 80 mm.